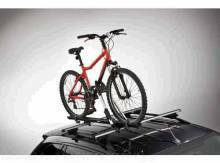 Upright Bike Carrier * Rock-solid upright carrier with easy to use clamp design at a great value. 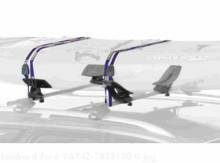 * The easy to use upright bike carrier that accommodates bike frames up to 3 1/8" in diameter. * NOTE: This is a Ford Licensed Accessories Product - see your dealer for limited warranty and other details. 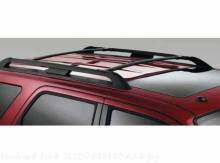 Cover Genuine Ford Sport Trac Accessories In A Ford ESP Premium Care Plan. Depending on the Ford ESP Plan you select, some dealer-installed Genuine Ford Sport Trac Accessories can be covered for up to 7 years or 100,000 miles. Details at your dealership. 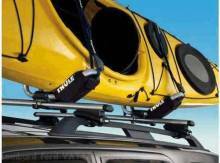 Explorer Sport Trac has features that give you flexibility, like the optional cargo cage. It extends the box to about six feet, great for moving furniture or accommodating extra gear. Box area tie down hooks help organize and secure your stuff. And when you want to protect your things or just keep them safe from the elements, an optional factory-installed foldable, two-piece hard tonneau cover locks like a trunk. Inside, Explorer Sport Trac's wipeable rubber floor lets you get dirty without worry. And for those times you need to dress things up, such as picking up clients, removable Berber floor mats do the trick.